To create a realistic stitch effect in Photoshop you need a set of stitch brushes to help you. Photoshop stitch effect is commonly combined with fabric and leather textures. You can use these free stitch brushes for text effects, for vector shapes and so on. The only stitch brush that looks good on any object is the dashed brush; the other stitch brushes may not look good on more complex object with a high level of detail. If you are looking for cross stitch effect you can check out my premium cross stitch and needlepoint action. 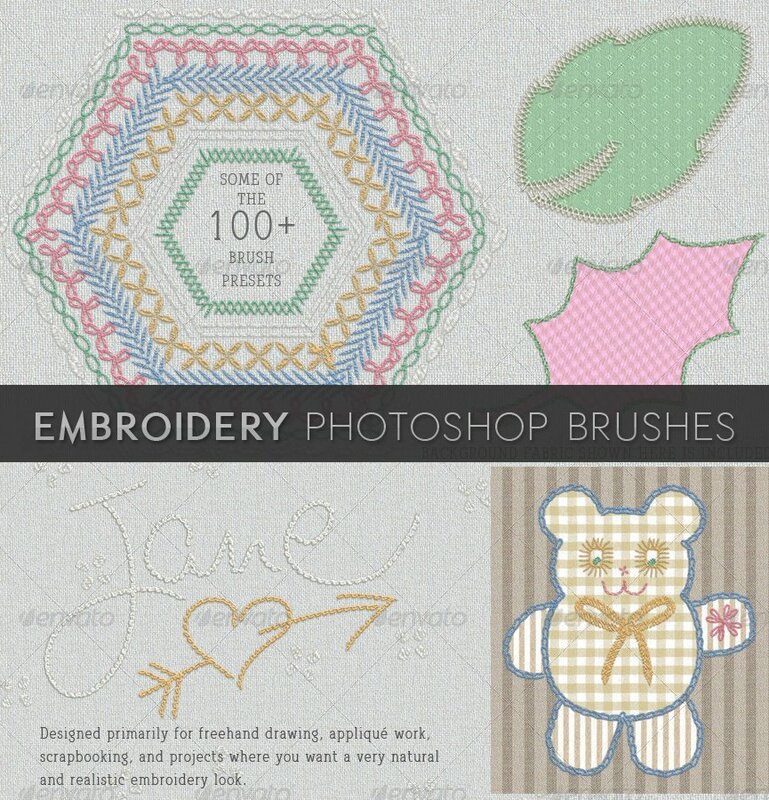 These stitch brushes are used whenever you want to create a cross stitch effects, sewing effect, stitching effect and so on. These are all free brushes but you better check the license before you use them in any commercial projects. 4 comment(s) for "Stitch Photoshop Brushes"